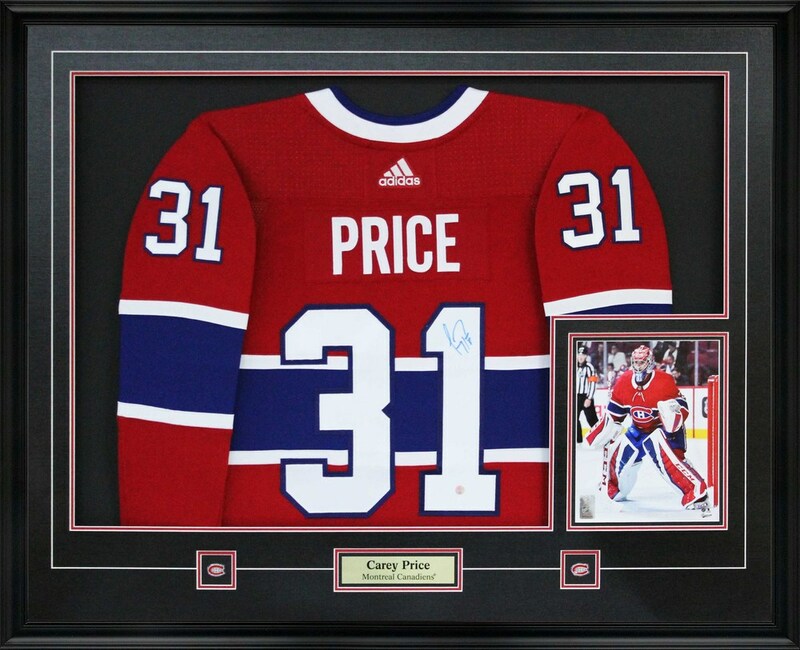 This 2017/2018 Montreal Canadiens Pro Adidas red Carey Price jersey is professionally framed in Frameworth's renowned jersey framing style with two loop hooks on the reverse of the frame for easy & durable hanging. The jersey is personally autographed by Carey Price himself. A Frameworth hologram and certificate of authenticity are included to ensure the legitimacy of the signature. Finished Frame Size: 36x44"